RECONNECTIVE HEALING®, which is also preferred by doctors and health consultants, tends to be a life changing experience. It facilitates healings physically, mentally, emotionally and beyond that includes the evolution of your very being and essence. Reconnective Healing is taught by Dr.Eric Pearl from Los Angeles. It is not therapy or treatment. It is CHANGE. Each person’s healing will be unique, as each of us has our own independent perfection. It uses the light and information exchange of the fifth-dimensional energy grid to renew the human body, mind, and spirit. Thus, the effects of a healing session may be felt on the physical, mental, emotional, and/or spiritual levels. What happens during the Reconnective Healing® session? Customer lies on the healing table with comfortable clothes on (for distance sessions, on a bed or caoch). Due to possible temperature change in the room, it is recommended that the customer has layers of clothes. Reconnective Healing® is a touch-free procedure. The practitioner works with her hands without touching the customer. That’s one of the reasons, distance healing sessions are easily performed. It is recommended that you experience min 2-3 sessions to adjust to the new healing frequencies. The complete healing session takes about 1 hour together with the conversations before and after. The time of the healing on the table is approx. 30 minutes. We can contact each other via phone, e-mail, whatsApp or skype/facetime before & after the distance sessions. There are cases whereby Arthritis, cancers, cerebral palsy, epilepsy, MS, AIDS-related complaints and other serious afflictions are healed, as well as helping to relieve minor pain and inflammation. There is no difference in effect between In-Person or Distance sessions when it comes to Reconnective Healing®, as this is a quantum modality. 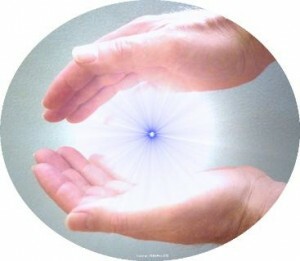 Reconnective Healing® frequencies are light and information, therefore there is no weakening over distance. Stanford Professor Emeritus Dr. William Tiller says that when information carried through the Reconnective Healing Frequencies is introduced, it creates coherence and order. This optimal state of balance comes after you are connected with a high vibration energy, light and information. Please contact us to find out the fee of the Reconnective Healing® sessions.